​Use This ​Dynamic Admission Checklist To Stay Ahead Of The Curve. It Is The Hidden ​Gem ​Behind Many Successful Ukraine University Admissions. Yours Free!!! ​Very Easy To use. Just Tick The Completed Steps, And Visually Monitor The Uncompleted Ones. Eliminate Admission Confusions And Forgetfulness. ​It Works, Just Use It!!! There Is No Need To Reinvent The Wheel. 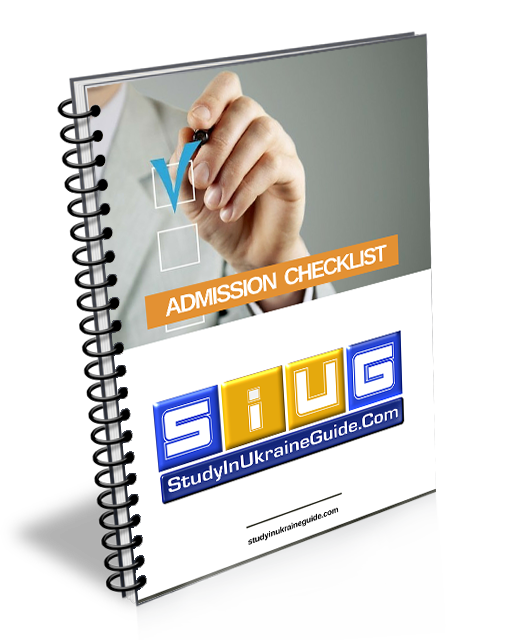 There Are Specific Steps You Will Need To Accomplish Towards Processing Your Ukraine University Admission. All Those Steps Are Already Captured In The Admission Checklist. ​Better Still, There's No Need To Commit These Steps To Memory. Let The Checklist Do That For You. Let It Show You The Accomplished Steps & The Ones Remaining. Do Not Overburden Your Memory, You Don't Have To. It's A Recipe For Unforced Mistakes. ​The Admission Checklist Is Actually Part Of A Paid Bundle Of Checklists That We Are Providing To You For FREE ​So You Can Stay Organized & Precisely ​Monitor The Progress Of The Admission Process.